Chaozhou City, Guangdong Province, China. Tight and neat strips, lustrous in dark brown. Roasted aroma with hints of floral and fruity notes. accompanied by long-lasting tender aftertaste in the mouth afterwards. 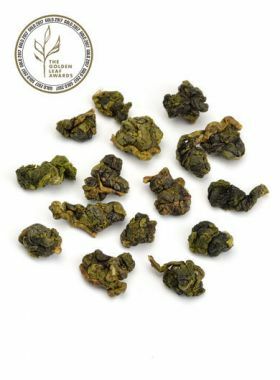 This Dan Cong Oolong is a great tea that is balance between roast and floral taste. 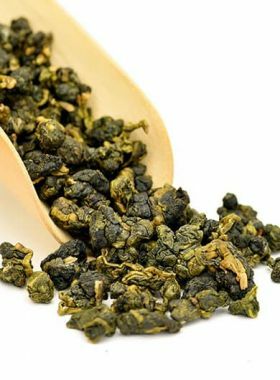 Phoenix Dan Cong is a famous type of oolong tea from Guangdong Province, with a rich aroma and a taste that differs from the actual tea to the aftertaste. Be careful when steeping this tea: if you use a gaiwan, remember to quickly pour the liquid into a pitcher instead of letting it sit for a long infusion.This tea belongs to moderately high roasted Oolong, carrying strong fragrance of backing in both dry leaves and brewed tea. 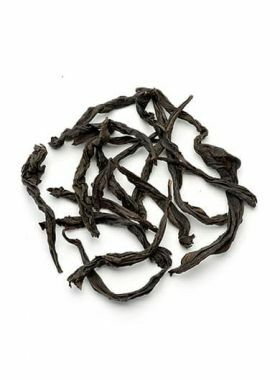 Touched by boiling water, a distinct backing scent is suddenly excited and spread out, together with a sense of floral and fruity aroma when you sniff the tea. Overall, the tea soup and water are well coordinated, giving medium-bodied, soft and smooth taste. Baixiang Ecological Tea Garden is located in Wudong Village in the Fenghuang Mountain area, with an elevation above 1000m. In accord with the natural ecological cycle of the land, other than tea trees this garden also features other trees good for attracting useful insects, and also to minimize the insect damage to the tea trees. 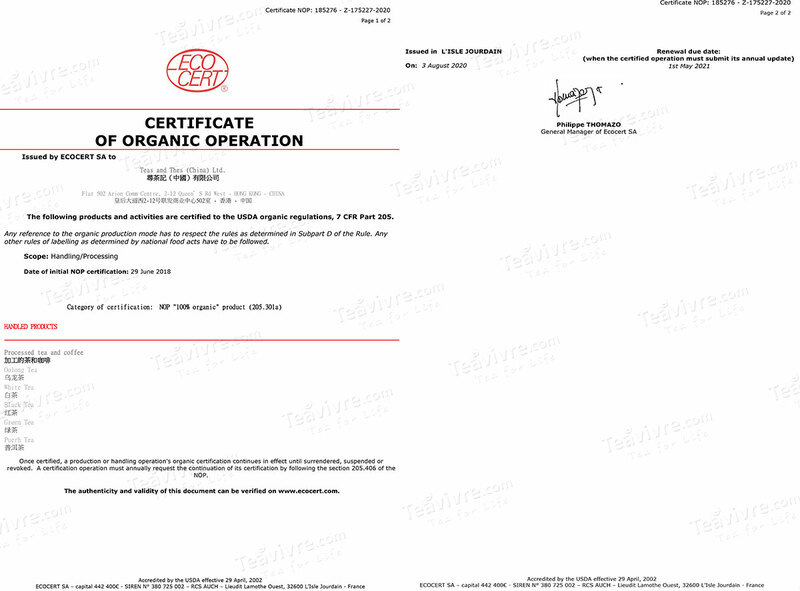 This means that the usage of pesticides can safely be avoided, resulting in a more natural environment. 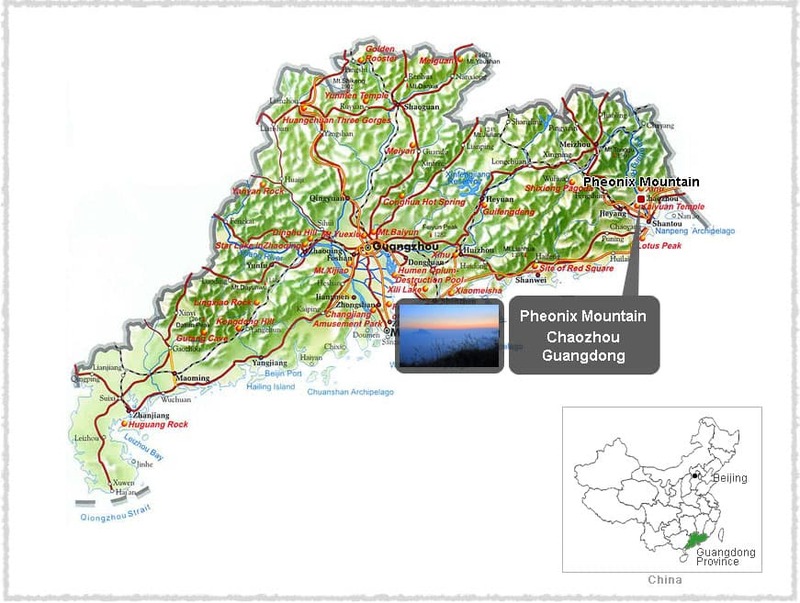 The Phoenix Mountain is located in Chaozhou, Guangdong Province, close to the South China Sea. The climate here is warm with sufficient rainfall, with the tea trees grown above the 1000m altitude where the weather is cloudy and misty year-round. The humidity of the air is high as well, and the temperature varies widely between day and night; the soil is also fertile, containing an abundance of organic matter and trace chemicals beneficial for the growth of the trees and for the formation of tea polyphenols and other aromatic substances. Ju Duo Zai is bred from the natural hybrid progeny of the phoenix narcissus. 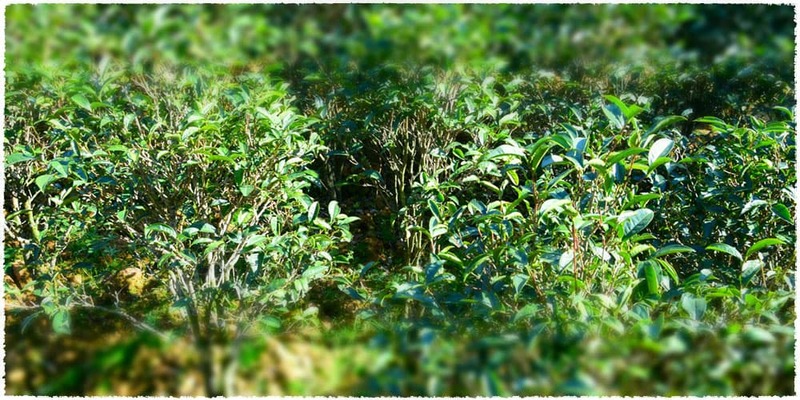 People in Chao Shan used to call it “Ju Duo Zai”, because of its saw-like leaf edge. 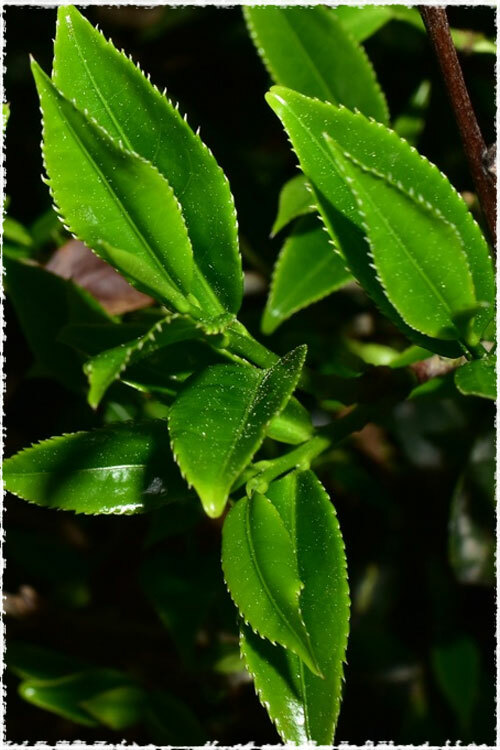 It belongs to the middle leaf type, long ellipse, and is characterized by glossy leaf surface and deep leaf color. There is a legend that during the Song Dynasty, the Emperor passed by Phoenix Mountain. He was quite thirsty and asked one of his soldiers to pick some tea leaves for him to drink, and on doing so, the Emperor realized the unique quality of the tea. From then on, people specially grew this kind of tree, and named it Song Zhong. With the 1990s came an increase in the area used to grow tea, and as such, the production quality of that tea has also improved. From 1982 and on, Phoenix has earned many Chinese tea awards. Dan Cong tea has always been known as the king of tea, with many tea lovers all over the world regarding it as a treasure.